Presale for the Kooks concert in June just started today and runs until the end of the weekend. They will be playing 6/9 at 8pm at Paradise Rock Club. 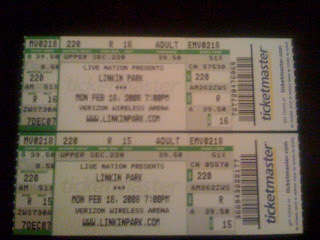 Tickets are general admission and cost $20. 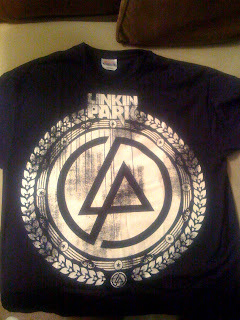 Get them before the general public with the presale password. The Kooks are back on tour in support of their eagerly anticipated sophomore album Konk, featuring the new single “Always Where I Need To Be.” This is the stunning follow up to the hugely successful Inside In / Inside Out, their breakout debut which sold over 100,000 albums in the US and over 2 million copies worldwide. Presale password is “KONK” which you can enter into the box on the Ticketmaster page (here). Happy Friday Everyone! Thank goodness for the weekend. It's been quite the busy week. Anyone have any good plans for the weekend? I'm going to spending most of it in a weekend real estate class. Part of me is hoping that it'll help me to understand the process a little bit better for when I end up buying a home of my own. The other part wants to learn a little bit more about the industry so that maybe I could be a part time real estate agent on the weekends/evenings. If there are any other folks out there that are interested. I'm taking the class offered by the Lee Institute. They have lots of locations and also offer the option of a two-day weekend course sometimes (which works out well for me since I travel for work so much). I'll report back after the class as to how it was, but I'm expecting that it's going to be like driver's ed. Sit there for countless boring hours and then take a relatively easy test at the end. Any real estate agents out there want to chime in on how their thoughts on their profession and how they like it? Click (here) for a link to the Lee Institute. Here's another casting call, this one for tomorrow, where Boston Casting is looking for specific types of people. The movies are The Proposal (here) which is supposedly a romantic comedy starring Sandra Bullock and Ryan Reynolds and Mall Cop (here) which stars Kevin James and will be filmed at the Burlington Mall. WE ARE LOOKING FOR PEOPLE WHO ARE: ACCOMPLISHED RACE CAR DRIVERS WHO HAVE DRIVEN IN MOVIES IN THE PAST WHO UNDERSTAND HOW TO TAKE DIRECTION AND STOP ON COMMAND. OPEN CALL FRIDAY 2/29 FROM 2-6PM. PLEASE BRING 2 HEAD-SHOTS AND 2 RESUMES. IF YOU CANNOT MAKE THIS OPEN CALL, PLEASE DROP OFF YOUR 2 HEAD-SHOTS AND RESUMES ANY SATURDAY. YOU DO NOT HAVE TO SPEAK RUSSIAN, JUST LOOK THE PART. LIGHT HAIR PREFERRED. PLEASE BRING 2 HEADSHOTS OR PHOTOS AND RESUME IF YOU HAVE ONE. OPEN TO UNION AND NON-UNION ACTORS AND NON-ACTORS. They're holding an open casting call this Saturday 3/1 for what I'm guessing will be the new Kevin James movie - Mall Cop - which I blogged about earlier this week (here). This coupon entitles you to receive a discount of 10% good towards your purchase. Please remember to enter this coupon on the cart page or during checkout to receive your discount. I've posted the promo code with the original post (here) for the sake of keeping everything together. Just scroll to the update at the bottom. You can also get there by clicking "Legal Seafoods Mail Order" under my Affiliate Advertising section on the left. I was walking down Boylston on the way to the office when I overheard two people talking quite loudly that they had just seen a bunch of the Cleveland Cavaliers at the Four Seasons and it was too bad that they didn't get to see Lebron. 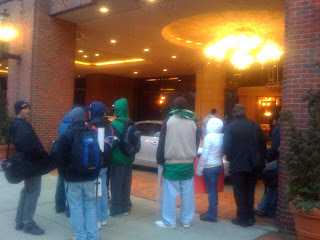 Whenever sports teams are in town, they usually have an area for fans to stand and wait for autographs at the Four Seasons and the Ritz so if you swing by and see a huge tour bus out front or perhaps a bunch of guys standing out in the cold waiting for something - it's a good sign. Who's got tickets to the game tonight? And where's the best bar to watch from if you don't have tickets? 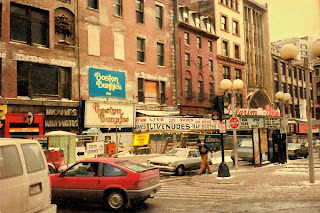 I'm still mourning the loss of the Hooters in North Station. Thanks to Bloggery Reader dschoonover shooting a quick email off to me on an Ashecliffe sighting. signs, trucks, trailers, film crews.... are at Turner Hill Country Club in Ipswich today. I didn't think they'd be on the Northshore. interesting. Anyone out there a member of the Turner Hill Country Club that wants to run in and snap some pictures? I'll post them here. Although I'm sure the paparazzi (do we have paparazzi in Boston?) are already all over it. Things didn't work out last Friday like they were supposed to. In my fantasy world, I was going to win the $270 million dollar megamillions jackpot so that I could quit my job, move into the Ritz, and go to culinary school. Life has a funny way of being cruel, so just to add insult to injury and remind me that I did not in fact win the lottery, the Le Cordon Bleu College of Culinary Arts Boston is slated to open in Cambridge on April 7. The school, which is modeled after the renowned Ecole du Cordon Bleu in Paris, will serve up a two-year Associate of Applied Science degree in which students will learn classical French cooking techniques, the business of food preparation, nutrition and sanitation. The program costs $38,300 for the two years and includes tuition, books, uniforms and a Wusthof knife kit. Click (here) to read the Boston Business Journal article. Click (here) to go to the school's official website. Gypsy Bar will play host to Ashlee Simpson this upcoming Friday 2/29. Ashlee Simpson makes her only Boston appearance on Friday, February 29th at Gypsy Bar, celebrating the release of her new single “Outta My Head”. The new single is part of her LP release “Bittersweet World” due out this April. With Simpson’s new single rising up the charts she has plenty of reason to celebrate, and Gypsy Bar is the only spot in town to hang out with her! Big sister Jessica is all washed up (I'm still mad at her for ruining the Dallas Cowboys winning streak). Now it's Ashlee's time to shine. I haven't heard her new song yet, I"ll see if I can find it somewhere - I'm currently hooked on Flo Rida's new song "Elevator" (they keep playing it over and over again on the MTV Jams channel). Click (here) for the official invite on Gypsy Bar's site. It appears to have a snippet of Ashlee's song in the background. Oh whiskey, how I love thee. Let me count the ways: bourbon, scotch, and last but not least Irish whiskey. 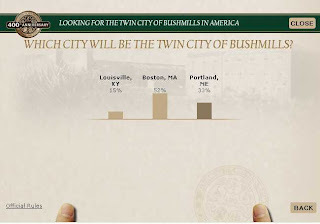 Boston is one of 3 finalists to be selected as America’s Twin City to Bushmills, a region of Ireland that is the home to Bushmills Irish Whiskey, which is celebrating the anniversary of its original license to distill. The finalist cities were selected based on an application outlining why they embody the four quintessential values of Bushmills—pride of place, hospitality, craftsmanship, humor and wit. People of legal purchase age across the U.S. can vote online at Bushmills400years.com until March 17, 2008. The winning city receives a $40,000 grant--$20,000 for the preservation/advancement of local culture and $20,000 for local responsible drinking programs-- while each voter is eligible for an expenses-paid trip for two to Ireland. And here I was thinking they'd choose based on capacity to drink whiskey, in which case Boston would clearly win. Anyway, I just voted and for the time being Boston is in the lead, but let's make sure we DOMINATE. Here's a screenshot of the current standings. Click (here) to vote. Yes, you have to have pop-ups enabled. And then when you're done voting, make your coworkers vote, and then your friends, and then your enemies. We're a pretty competitive city here in Boston and I don't think we want to lose to Kentucky or Maine. 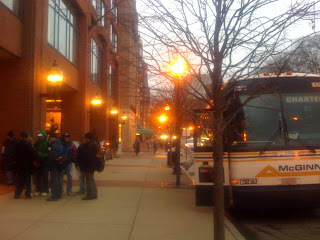 For faithful readers of this blog, it's not news that more and more movies have been filmed in Boston in the past year. 2008 is looking to be an ever more productive year. Who knows, pretty soon all the Starbucks in the area might be manned by aspiring actors and actresses as opposed to broke students. As you know, Mr. McConaughy and Ms. Garner are already here filming Ghosts of Girlfriends Past (here). Martin Scorsese will begin production of Ashecliffe next month (here). And now it appears that Bruce Willis will be filming a movie called "The Surrogates" in the area and Kevin James will be filming a movie called "Mall Cop." The Surrogates is "set in the near future, where humans live in isolation and interact vicariously through surrogate robots who are better-looking versions of themselves. Willis plays a cop who, through his surrogate, investigates the murders of others’ surrogates. The cop is forced to venture from his own home for the first time in years and unravels a conspiracy." To what do we owe all these movie deals? Tax credits. Click (here) to read the Metro article. Original credit goes to DanDan for emailing a Herald article about this to me last night. But I'm going to quote from this morning's Globe article instead because something caught my eye and basically pissed me off. So as the story goes, someone snuck a 9mm handgun into Aria on Saturday night and sometime around 1:45am some fights broke out inside the club and said person started randomly shooting into the crowd. Here's what caught my eye in the Globe, "The police had been tipped days earlier that gang members were planning to show up inside the red velvet draped club." No one tipped me. Good thing I don't go clubbing anymore. Because apparently even though the cops know there may be gang related activity INSIDE a club, they don't do anything to prevent it. They just station people there to wait for bad stuff to happen so that they can react quicker. Isn't it better to be pro-active than reactive? In which case maybe some innocent bystanders don't get shot? Did the owners of Aria know? If I was the owner, I'd close for the night due to 'renovations' or something to avoid something like this happening at my club. No one wants to go clubbing where you can potentially get shot. It's been years since I've been to Aria, and now I don't think I'll be going back. Tom Hanks is coming! Tom Hanks is coming! According to the Globe (here) Mr. Hanks will be in town March 7th to host a reception and a screening of a new HBO miniseries entitled "John Adams." The series is based on David McCullough's Pulitzer prize winning biography. The series is set to start airing on March 16th at 8pm (here). Anybody out there know where the reception is going to be with Tom Hanks? He was one of the executive producers. I wonder if Paul Giamatti will be in town as well? He's the one playing John Adams. I've heard pretty good things about Blue Ginger in Wellesley. And I've seen Ming Tsai on tv cooking shows a few times. Unfortunately, I've never had a chance to check it out - yet. Because I live so close to Chinatown, it's tough to justify driving all the way out to Wellesley for Chinese food. Even if it's a little bit more like fusion than it is straight up Chinese food. Tsai is taking over the former retail space next door, nearly doubling its size. Blue Ginger is located in Wellesley Square, Wellesley, Mass. The Rockwell Group is designing the new space, which will include three private dining rooms that can accompany parties from 10 to 90 people and a 50-seat, walk-in only lounge featuring a 10-stool bar. The most important thing to know is that the restaurant will still be open for your dining needs during the renovations. And renovations will be done by Spring. 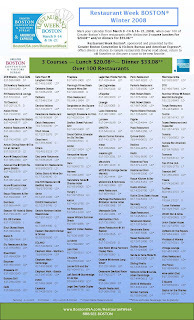 Click (here) for the official Blue Ginger site and take a peek at their menu. Looks pretty tasty. I'll have to make my way down there sometime soon. 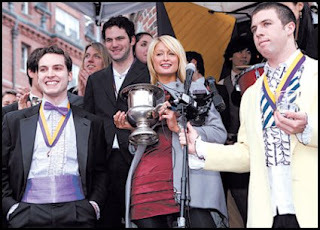 Click (here) to read the original Boston Business Journal article. Part II to the crumbling real estate market is the American Brewery Lofts in Jamaica Plain. According to the Boston Business Journal, the owners are going to put the lofts up for sale starting this Sunday 2/24. The owners of the American Brewery Lofts in Jamaica Plain are holding a winter clearance sale, offering the first 20 buyers a $30,000 discount each in hopes of pushing the project past the 50 percent sold mark. Further, the first 10 buyers will each be eligible to receive up to three $5,000 coupons they can use toward closing costs, hardwood floors or for sealing and staining floors, said Michael Dorion, a sales associate with Coldwell Banker Residential Brokerage who is marketing the lofts. The next 10 buyers will only receive the $30,000 discount. These particular lofts are priced between $299,000 and $700,000. I think it's an interesting ploy - it creates a sense of urgency in consumers to try to be the amongst the first ten buyers. But at the same time, they might be shooting themselves in the foot because the 11th customer is going to be pretty upset. If it were me, I'd be upset enough not to buy if I wasn't one of the first ten. Everyone is talking about the recession, how the subprime collapse is only going to get worse, and how inflation is reaching painful levels (7% I read today). Here's another indication: auctions and incentives from developers. First off: The Atlantica Auction next month. For those of you looking for a deal on beach front property, this looks like it could be your lucky day. I've personally never been to Revere, so I can't comment on the quality of the beach front itself. If you're interested, click (here) to go to the official Atlantica auction site or go (here) to read the accompanying Globe article. Needham just got a little closer to Hollywood. Yesterday, they started filming a new romantic comedy there starring Matthew McConaughey and Jennifer Garner. According to IMDB, Michael Douglas will be in the movie as well. The movie is called The Ghosts of Girlfriends Past. Not much information to be had on the plot. All IMDB says is "A bachelor is haunted by the ghosts of his past girlfriends at his younger brother's wedding." According to the Globe, crews are filming at a house in Needham and will be around the area for the next couple of months. 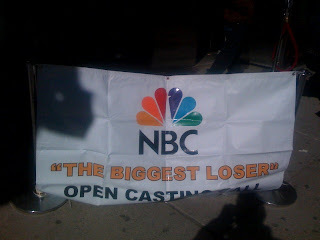 Undoubtedly we'll start hearing more and more about celebrity sightings at places like Abe & Louie's, Boston Public, etc. This is great. One movie already filming now, and then Ashecliffe (here) starts filming next month. 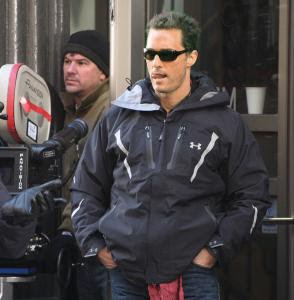 UPDATE: Bloggery Reader Kym just informed me that Mr. McConaughy will be filming at Sonsie on Newbury today. If work wasn't so crazy these past couple of days I'd walk over there and check it out myself. Thanks Kym! 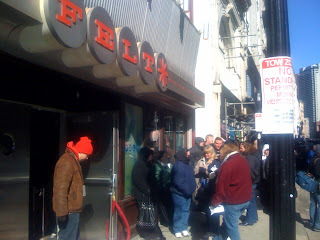 UPDATE 2/22/08: Mr. McConaughy was in the Leather District on South Street near South Station filming. According to the Globe, the crew will be relocating to the North Shore for a couple weeks of filming. Happy Hump Day Everyone! Hope you'll be out and about partying tonight. I will be spending the evening at my new accountant's office working on my taxes. Yeah I know, I'm a loser. Have a drink for me. But as is customary, it's Wednesday so I'm already thinking about the weekend (although I usually start on Mondays). The Boston Globe Travel Show is coming up this weekend at the Seaport World Trade Center and I've got a 2 for 1 coupon code for you. The 2-day event is New England’s biggest and most comprehensive travel expo. At the show, attendees can learn about new and exciting travel opportunities—budget vacations, cruises, tours, adventure travel, weekend getaways, exotic destinations, luxury escapes, and more—and book trips at incredible savings, right on the show floor. I've just about had it with the cold. I don't have many vacation days but it might be interesting to hear about some of those weekend getaways. I hear that Bermuda is quite nice and also a very quick flight. Click (here) to go to the official website for more info and to purchase your tix to the show and use promo code: BGTS241 to get the 2 for 1 deal. Personally, I've only got my lowly undergraduate degree under my belt. But a lot of my friends have been spending their post-undergrad years collecting advanced degrees like they're Pokemon cards. I did take the GRE a few years ago when I was considering getting a PHD. It wasn't too hard. It's the pesky LSAT and MCAT that I always hear is painful. I bought an MCAT study guide back in the day when I was pre-med. I read the preface of the study guide and then promptly sold the book on half.com and dropped pre-med. I've done this twice now (once a month for the last two months) so I think it's safe to say it works. Back in December, I joined one of those online survey companies that pays you to take surveys: e-rewards.com. For each survey you take, there is a designated 'dollar' value. Reach a certain amount of dollars and trade them in for actual rewards. My reward of choice? Border's Rewards Cash. Each time I hit $15 in e-rewards money, I trade it in for $15 in Border's rewards cash. The cash is credited to your Border's account (you'll have to sign up for their rewards program - it's free though so it shouldn't be a problem) the month AFTER you actually make the request. In addition, when you join the Borders rewards program, they send you coupons almost on a weekly basis. They usually range from 25%-30% off one book, but occasionally, they have a rare 40% off coupon code. That's usually when I strike. So this afternoon during my lunch break, I walked over to the Border's on Newbury/Boylston and browsed for a book. Having been a big fan of his previous two books on the MIT blackjack team and also being supporter of everything local (Ben Mezrich and his wife Tonya live somewhere here in the Boston/Cambridge area) - I decided to pick up a copy of his new book "Rigged." The book was $25.95. Minus the 40% off coupon = $15.57. Minus my $15 in Border's Cash = $0.57. And then they charged me tax on the 57 cents to bring it to a grand total of 60 cents. There you have it. Yes, it takes a bit of time to get this done. But I've got it down to a system now where I pretty much accumulate $15 each month and trade it in for Border Cash, and have one new book to read each month. Yay for cheap books. Now if only the writer's would go back on strike, then i'd have more time to read books.........jk. PS. For those of you who would just be happy with 40% off. Here's a link to the coupon. It's only good for two days and it expires today. UPDATE: I don't know if it's always been there or if they just added it. But now E-rewards says you can only redeem once per calendar year. I can't be sure because I started doing this in December so since I've done it twice over Dec and Jan, that's technically 2 calendar years. BAH. I've been thwarted. The state has posted a website for consumers to shop around for car insurance. I just tested it out and in my opinion it's a pretty crappy website. There aren't enough options to choose from to really tailor the quote to what would actually be a salient rate quote. I guess it would be a good starting point though so that you could see which insurers are on the cheaper side and which ones are on the more expensive side. After that you could just call the insurance companies directly and get a real quote. Click (here) to check the website out for yourself. I personally haven't had a donut in years. I'm reading "Good Calories, Bad Calories" right now. I'm only halfway through but the book already has me thoroughly convinced that refined carbs and sugar are the devil. Anyhoo. 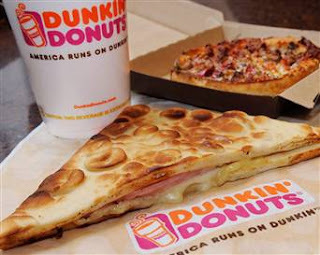 Dunkin Donuts announced today that they're expanding their offerings to include a new “all-day, oven-toasted menu” and will be serving flatbread sandwiches and personal pizzas heated in convection ovens. They're making a huge deal out of these ovens. There you have it. America can now run on Dunkin three meals a day. Bagel/donut for breakfast, sandwich for lunch, and pizza for dinner. Just as a brief aside: I recently discovered that Vitamin Water contains just about as much sugar as a Coke. Shocked? I was too when I actually read the nutritional information. The key is that you have to multiply everything by 2.5 since once bottle of Vitamin water is 2.5 servings. Never thought you'd ever see those words in the same sentence did you? For those of you that aren't into magic and want something a little more "theatre'ish" - Jesus Christ Superstar is also coming to Boston the week after Mr. Copperfield. Personally, I chose to get tix for the magic show over the musical. is as relevant and timeless as ever. The show runs for one weekend May 16-18 at the Opera House. Click (here) for the presale link. I remember watching him as a kid on TV, but I never had a chance to go see him in Vegas. Come to think of it, I've never seen any type of magic show live. David Copperfield is coming to Boston for "AN EVENING OF GRAND ILLUSION" which will be playing from May 9-11 at The Opera House. An evening of illusion and magic and displaying his off-the-cuff brand of humor, Copperfield breaks new ground in "Grand Illusion" and takes his art to a grand yet intimate, personal yet universal dimension for an evening of wonders that will never be forgotten. The presale is going on right now, so if you're interested get your tickets fast. The email I got didn't mention when tickets go on sale to the general public. You'll have to register in order to get tickets. Click (here) for the presale link. Upromise, a local company based in Newton, is holding a video contest where the winner will win $25K towards college tuition. Think you or someone you know deserves $25,000 for college? Create a personal video and tell us why. Make us laugh. Make us cry. Just make it you. It's simple. Anyone - student, parent, grandparent or graduate can enter on behalf of themselves or their family members and friends. Just upload your video between now and March 23, 2008. We'll pick ten finalists then YOU - the voting public - decide the grand prize winner by casting votes online! Each finalist walks away with a $500 Bed Bath & Beyond® Gift Card, only one walks away with $25,000 for college! Aaaand, Action! Click (here) for a link to the Tuition Tale contest. This should be easy for all you kids out there that are putting yourselves on YouTube anyway. In addition to the Tuition Contest, Upromise also has a scholarship fund where they're giving away a total of $250K to 100 winners ($2500 each for those of you who aren't good at math). Click (here) for a link to all the requirements to enter the scholarship contest. 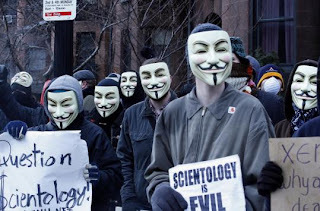 Many thanks to Bloggery Reader Bethany for letting me know about this. Good luck to all the students out there. Dear Upromise - where were you about 7-8 years ago when I needed you?